Crossing the 100K word mark? Between first draft and final version, I generally find reason to expand by 5-10%. That growth comes of noticing passages in which (for example) some nuance failed to complete the trek from brain to fingertips, or a clue or foreshadowing is too cryptic, or a more complete description of person or setting seems appropriate. In any event, the MS is set aside for at least a couple weeks, to give my poor brain a rest. As needed nightly relief from the stress of the final writing push, followed by the reward of a little time off, followed, all too immediately, by a nasty cold (almost gone now), these past few weeks I've also done a lot of reading. And I've had uncommonly good results from my selections. (Note that I didn't attribute the results to good luck. The books I'm about to commend to your consideration were all written by known, well-trusted authors. Even a new book by an author one has previously enjoyed comes without guarantees (authors will, and should, try different types of storytelling from time to time), but past performance is still a good writing-quality predictor. What books have I found noteworthy this past few weeks? I'm happy to share ... and it's all spoiler-free. 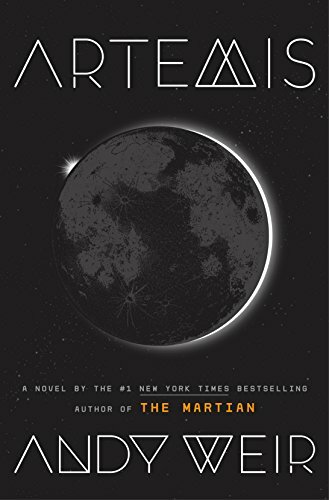 First, we have Andy Weir's second-and-recent novel, Artemis. It's near-future, hard SF set on the Moon, with the fate of Our Hero -- and the lunar colony -- at stake. Like The Martian, Weir's blow-out first novel (and the basis of a great movie), the world-building is meticulous and wholly believable. The storytelling of his new book is equally gripping. Artemis is adventure, neo-noir mystery, and highly recommended. 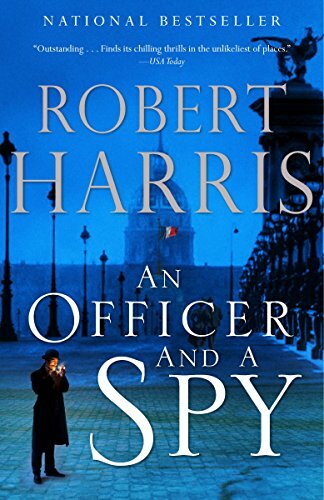 For something completely different, I'll offer Robert Harris's An Officer and a Spy. This is historical fiction -- a retelling, from the POV of a French intelligence officer, of the infamous Dreyfus Affair. Also, riveting: a real-life tragedy, whodunit, and (ultimately) triumph of the human spirit. And in the category of "authors trying something different," Harris is best known for his books of the ancient world. I knew (and have recommended) his trilogy about Cicero. Harris's fin-de-siècle Paris is as vibrant and real as his declining Roman Republic. 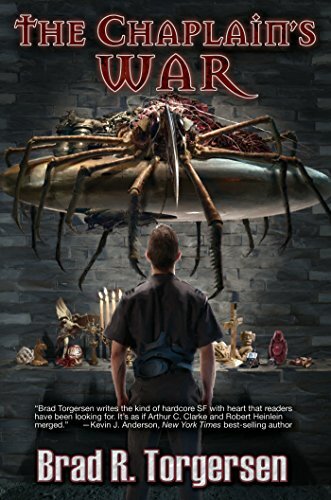 Finally, I'll commend Brad R. Torgersen's The Chaplain's War. 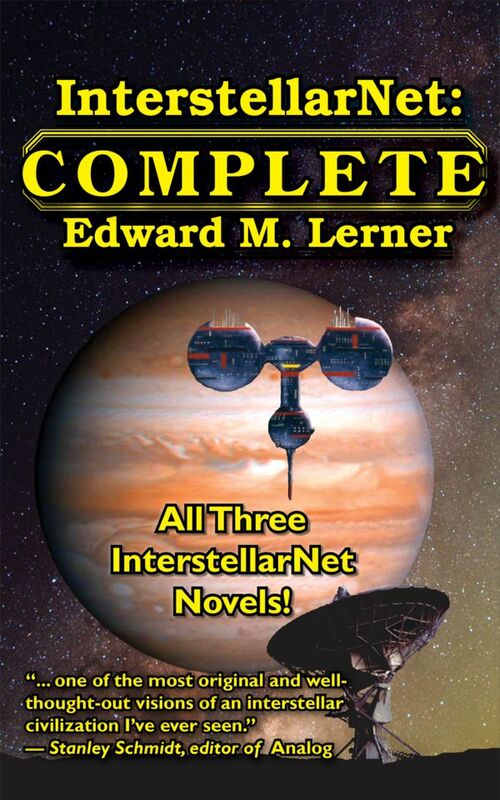 I'd read and very much enjoyed "The Chaplain's Assistant" (a short story) and "The Chaplain's Legacy" (the sequel novella) in Analog, but this greatly expanded tale was my first exposure to Torgersen's writing at novel length. 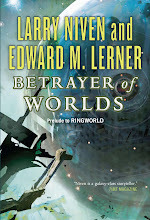 You might have imagined there's nothing original to be written as military SF about genocidal aliens at war with humanity, not after (among many) Joe Haldeman's Forever War or Orson Scott Card's Ender's Game. Well, Torgersen has done it. 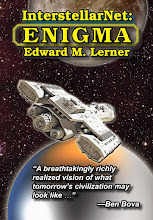 The Chaplain's War is a story of fascinating aliens, and spirit, and spirituality. A great read (as are, of course, the aforementioned Haldeman and Card novels, in very different ways). Okay, that's my recent readin' and writin'. And the 'rithmetic? Excuse me while I add up last year's office-supplies receipts. This is tax season. I love that image. It certainly feels like that. Although, I sometimes have the same feeling after a late night session with a MS. Waking from the qwerty image embedded into my forehead convinces me I should go to bed. My latest was just short of 100k and the first draft was about 70k. My works also tend to expand after the draft stage for the same reason: details missed in the first pass. Although there are times I decide to add a new twist (or two) that adds to the expansion. Thanks for the recommendations. I will give Artemis a look. Also glad the cold is on its way out. I have had something 'chewing' on me for a while now ('tis the season it would seem). Thanks for your note, Don. 'Tis indeed the season. I hope your bug, whatever you may have caught, is gone soon. Thanks, as do I. I am also looking forward to reading DEJA DOOMED when it is out (forgot to mention that before). I know it will be a long wait, but the best things in life take time. Certainly writing novels does ;-).